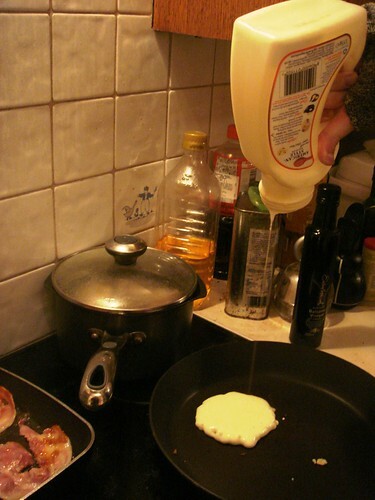 Shrove Tuesday has been and gone, and apathy meant hubby and I totally failed to make any pancakes to mark the event. So last weekend, we decided we would finally do something about this. However, I've never really seen the point of traditional English pancakes (too flaccid) and sugar and lemon bores me. 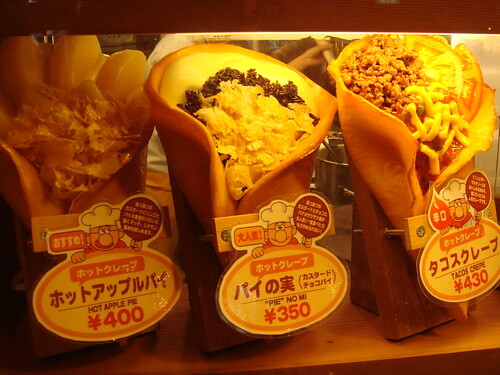 I'm only marginally more interested in Japanese uber-crepes. No, American-style pancakes, thick and oozing with maple syrup seemed much more attractive to greedy me and hubby didn't really mind either way. 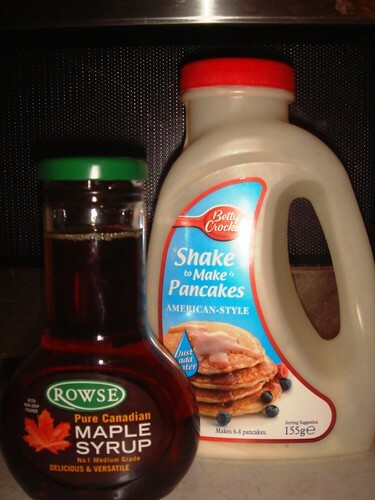 Thus we tootled down to Morrisons to purchase a Betty Crocker Shake To Make US Pancake Mix. 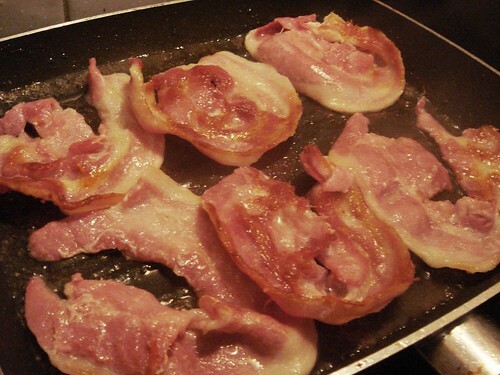 Yes, I have to confess, this isn't really a recipe at all. The instructions were dead simple - fill with water to line, turn upside down and bang on counter (seriously, that's what it said), shake till smooth and fry. Easy. 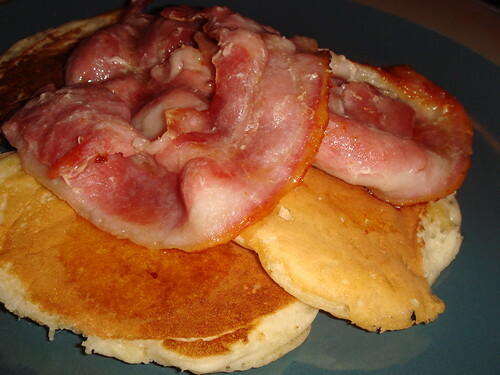 We also frazzled some gorgeous bacon till crisp and then we slapped the whole thing together and drizzled real maple syrup on top.